Work has been intense and crazy. So I was thrilled when the executives decided at the last minute to build in a little break in the project timeline. 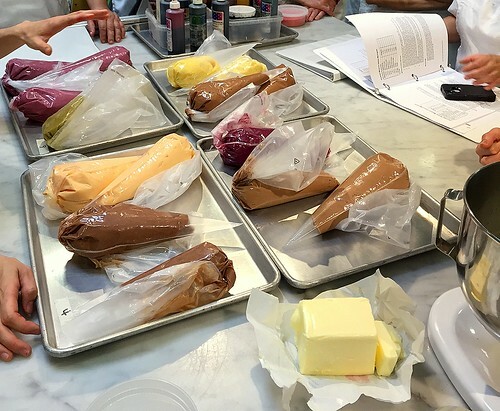 As luck would have it, the break was the same week as the Viennoiserie 2 class at the San Francisco Baking Institute (SFBI). 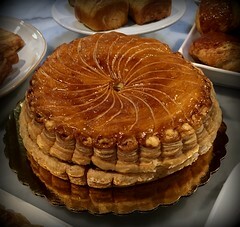 Viennoiserie 1 is offered a few times a year, but level 2 is offered only once a year. I wasn't able to take level 2 last year since it was fully enrolled when I tried to sign up, so I was happy to attend this year. A sane person would've gone to Bora Bora or Hawaii, but I chose to spend my vacation in a week long (40 hour) pastry class. Here are some of pastries we made in class. These were just the tip of iceberg. 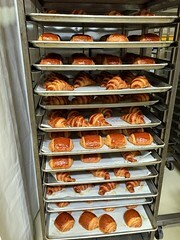 We made a whole lotta Viennoiserie during the week. 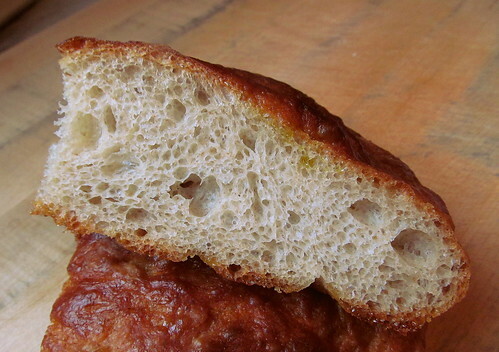 The lead photo (above) is gibassier which is an olive oil brioche with candied orange peel and anise seeds. 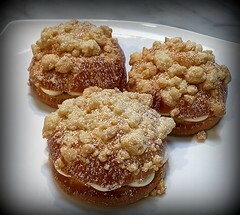 Since the class was an advanced Viennoiserie class, almost everyone in the class was a professional baker. There were a few semi-professionals who sold their baked goods on the side while maintaining a full time day job, but they all hoped to open a bakery some day. I was the only non-professional in the class.When classmates asked if I planned to have a bakery or baking business some day, my answer was "No, I don't. I just bake for fun". If they had asked me that question a year ago, my answer would have been "Yes, some day". It's a question that I have struggled with for many years. 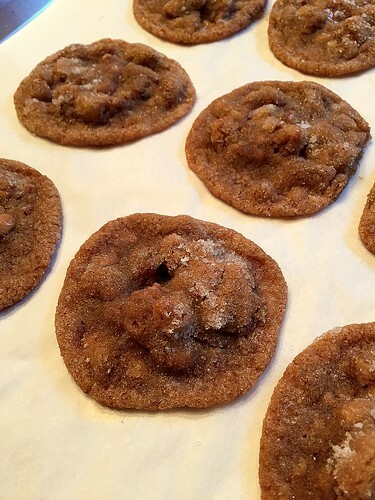 In the last year, I've done a lot of baking, as well as as lot of soul searching. Like many of the TFLers, I bake because I am passionate it about. I freely admit that it would be nice to turn my passion into a career, but I know that I will not be. My decision makes me happy. I don't have to wonder about "some day" anymore. 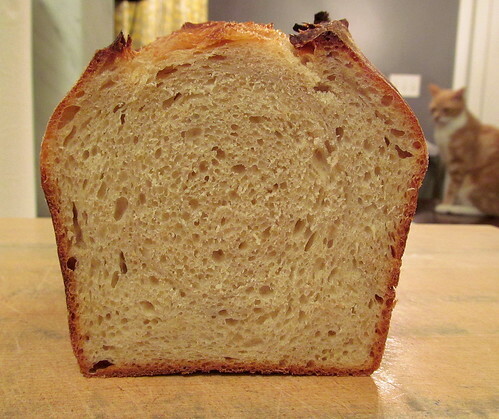 My final loaf of 2014 is the overnight country blonde from Ken Forkish's FWSY. I did everything by the book except I increased the amount of rye from 5% to 10%. I bulk fermented for 15.5 hours (at 64F) and proofed the shaped dough for 3.5 hours (at 77F). I baked at 450F for 45 minutes using my Le Creuset marmitout (aka cast iron combo cooker) with the lid on for the first 25 minutes. The bread was moist with just the right amount of sour. It turned out as perfect as I hoped it would. 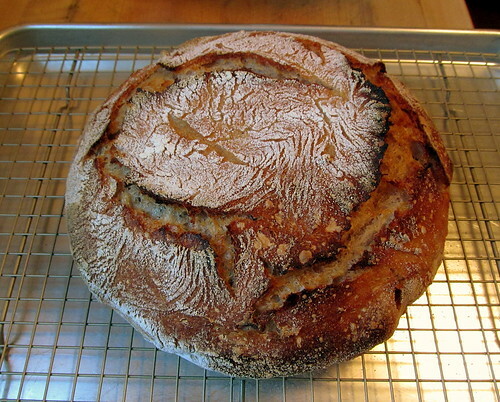 I began 2014 as a sourdough newbie awestruck by the wonderful bread showcased on this site. I end the year a little less green, but no less amazed by the talented and wonderful bakers here. A big thank you to the TFL community for the support and wisdom shared everyday. Happy New Year and may your 2015 be filled with family, friends and bread to share with all! I just finished reading "In Search of the Perfect Loaf" by Samuel Fromartz. As a "bread geek", I enjoyed the book very much. In one chapter he writes about his rye journey in Berlin. 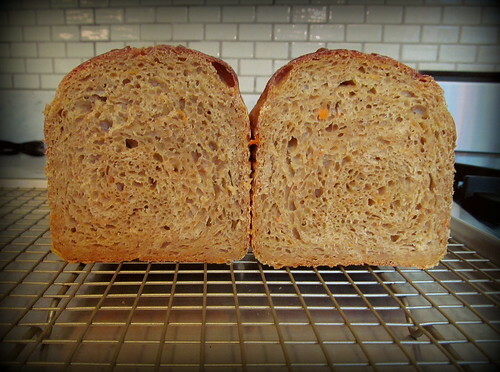 That chapter along with all the rye bread photos I am seeing posted by Stan's testers made me crave some rye bread. I missed the opportunity to become a recipe tester since Stan's reply to me ended up in my spam folder and I didn't see it until it was too late. I guess it was flagged as spam because it was a bulk email to all who signed up. Oh well. 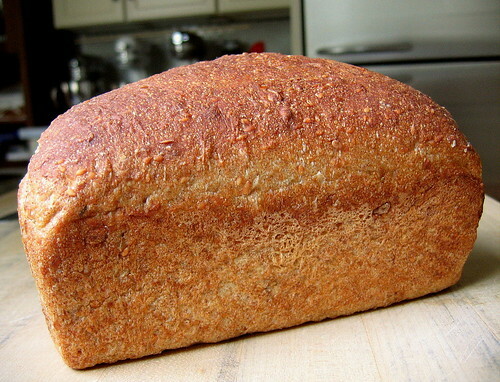 I tried to buy some rugbrot from Bar Tartine when I was there for brunch, but they were running low and couldn't sell me a loaf. I just couldn't catch a break. 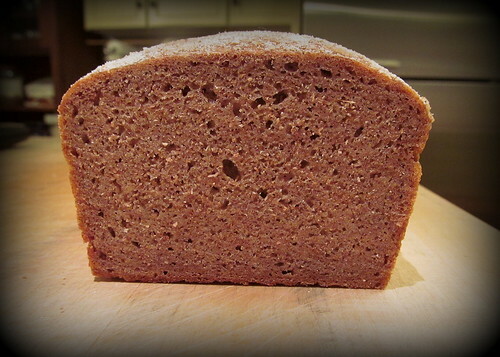 So I whipped up a 100% rye using Andy's Rossisky formula. Of course "whipped up" is a relative term. There's not a lot hands on time at all. It was pretty much... Mix. Wait. Mix. Wait. Spread. Wait. Bake. Wait. Cut. Eat. Overall hydration was about 84% and prefermented flour was about 37%. I scaled my ingredients for a 750 gram loaf. I didn't include bakers' percentages like I normally would because I didn't know how to calculate the percentages when so much of the flour was prefermented. 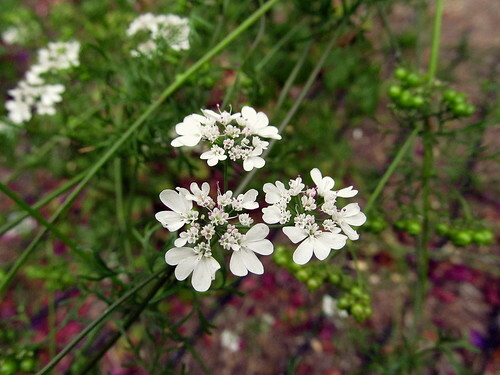 But please see Andy's post (http://www.thefreshloaf.com/comment/99318#comment-99318) for the percentages. I mixed all ingredients for the rye sour and let it ferment at room temp for about 18 hours. I like to wait until it has peaked and has just fallen back a bit. I mixed my final dough and bulk fermented it for about 20 minutes at room temp. and let it proof at room temp for 90 minutes. I stage baked: 450F for 15 min, 425F for 20 min, 375 for 10 min. Total bake time was 45 minutes. I covered the loaf pan during the first 10 minutes of baking. After the loaf had cooled a bit, I wrapped it in a tea towel to let it rest for 24 hours before slicing. I made 2 different sandwich loaves and used the no knead method for both. 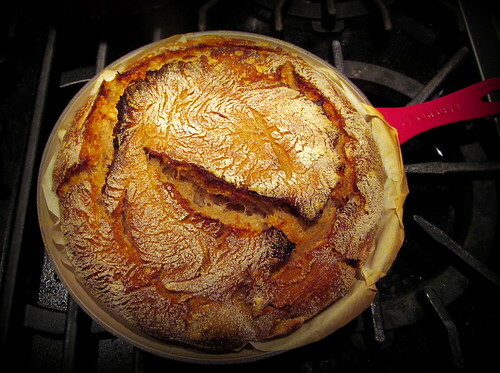 My first loaf was mostly white flour and naturally leavened using discarded sourdough starter. Baker's Percentages: 90% APF, 10% WW, 90% water, 15% discarded SD starter, 2.1% salt. 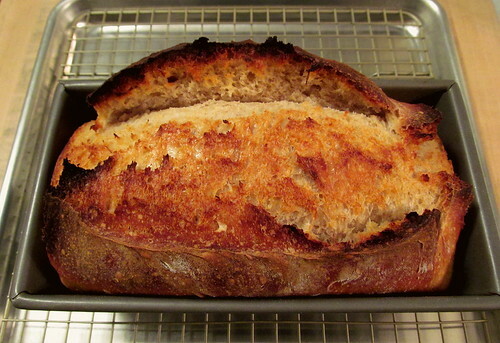 I got great oven spring with this loaf and it was nice and sour. My second loaf had 20% whole wheat flour and mashed cooked sweet potato. 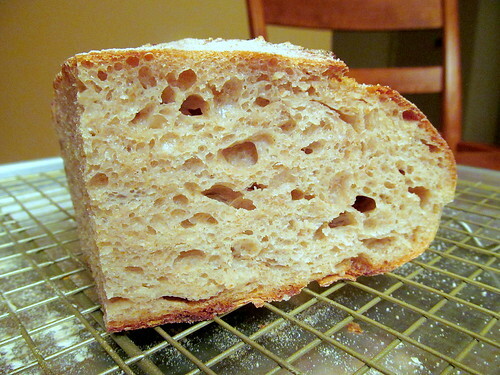 It was leavened with instant dry yeast (no levain). Baker's percentages: 80% APF, 20% WW, 80% water, 20% mashed cooked sweet potato, 0.18% instant dry yeast (SAF red), 2.2% salt. 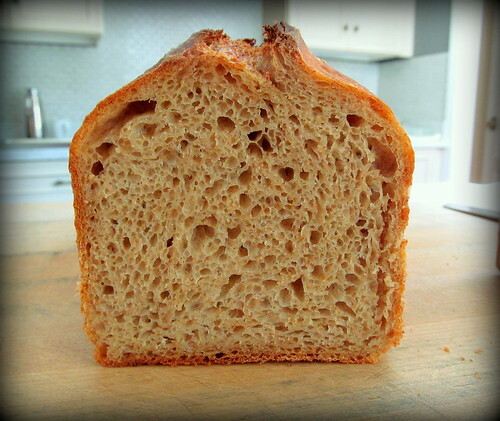 I was pretty amazed that such a tiny amount of instant dry yeast could raise bread. 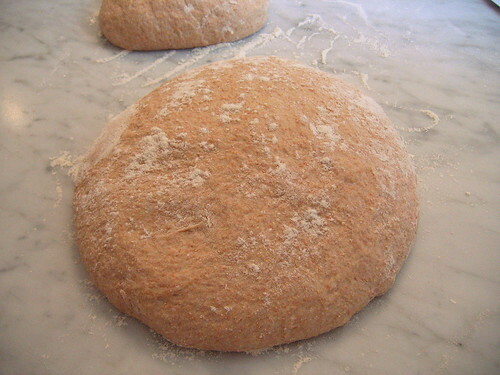 (I used 1 gram IDyeast for 560 flour = 0.18%.). Ah, the magic of time. I mashed my sweet potato coarsely which meant there were tiny bits of orange sweet potato throughout the bread. It was little gummy which seems to be a trend for me lately, but I toast my bread anyway so it doesn't bother me. Even though they were no knead breads, the crumb on both loaves ended up quite fine instead of open and holey which was totally okay with me. My almond butter didn't ooze out! I mixed all ingredients in a bowl with a spoon, covered the bowl and let it sit undisturbed at room temp (68-70F) for 10 hours. 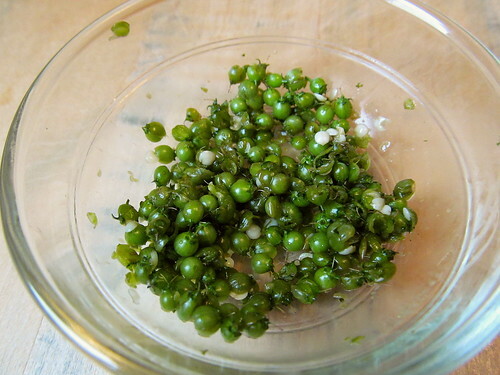 Then I put it in the refrigerator (40F) for 20 hours. 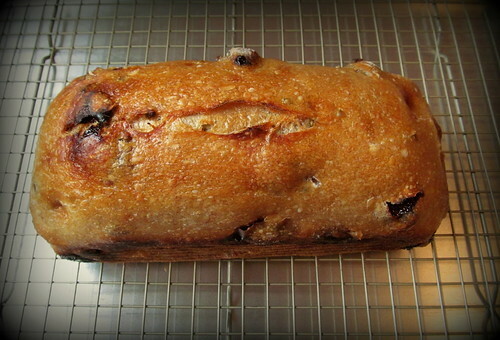 I shaped the cold dough into a log and put it into a loaf pan. Then I let it proof at room temp (68-70F) for 2 hours. I baked at 450F for 45 minutes (with steam for the first 20 min). 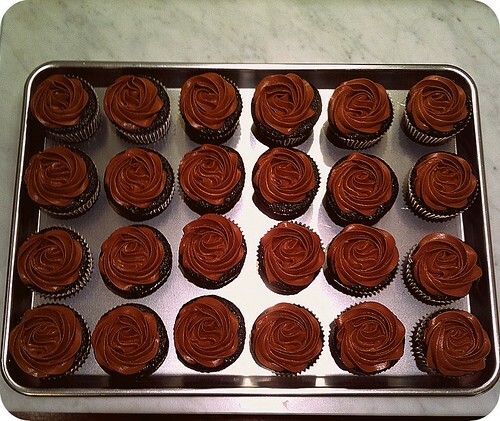 I baked some chocolate cupcakes for a friend's birthday. I've been using Ina Garten's "Beatty's Chocolate Cake" recipe for years and it always turns out great whether it's a layered cake or cupcakes. It's pretty much a one bowl cake recipe that I mix by hand. 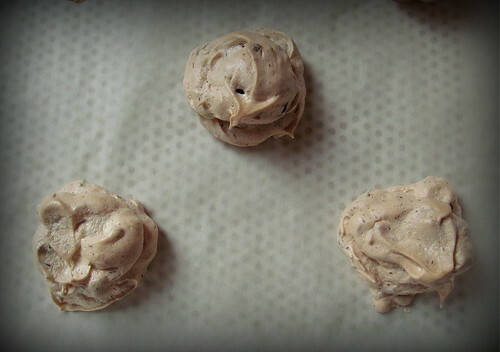 The frosting is simply melted (68% cacao) chocolate, butter and powdered sugar. 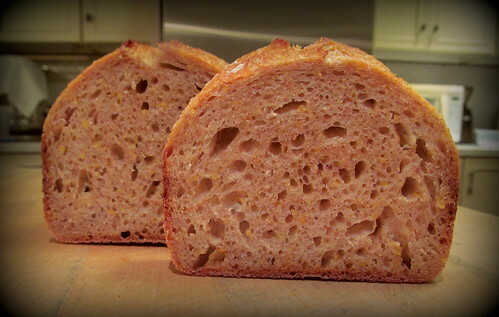 I was in a Chad kind of mood this week, so I baked an 80% whole wheat boule ala Tartine. 5 hours of bulk fermentation at room temperature (about 69 F) with S&F at 30, 60, 90, 120, 150 min. Preshape and bench rest for 20 minutes. Shape retarded in the refrigerator (about 38F) for 16 hours. Baked in an enameled cast iron combo cooker at 450F for 45 minutes (cover on during the first 20 min). 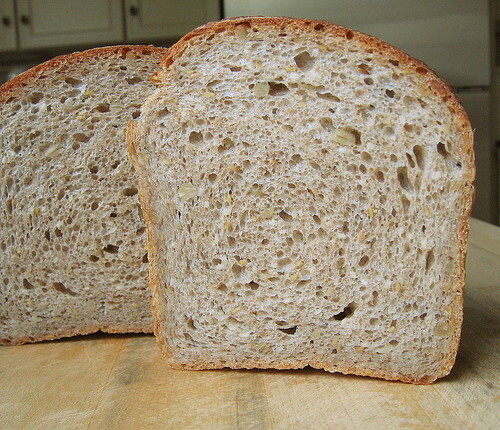 The whole wheat bread tasted great, but it was a bit dense from being overproofed. 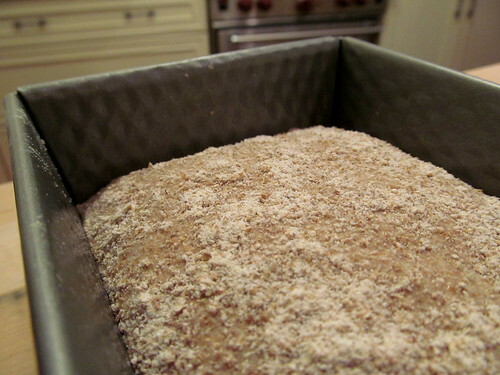 16 hours in the refrigerator is long time for 80% whole wheat, but my schedule didn't allow for baking it sooner. No biggie. 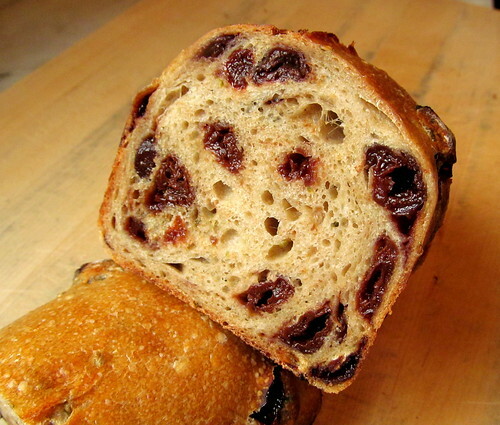 I bought some Cup4Cup, a gluten free baking blend made by Thomas Keller (of The French Laundry). I made cornbread muffins for a GF friend who would love to have cornbread stuffing for Thanksgiving. She loved the muffins and so did I. I couldn't tell that they were gluten free, but I think cornbread is something that can be made with mostly cornmeal/polenta and no wheat flour and still taste just fine. I took a macaron class on Saturday. I have been making macarons on and off for a few years now. Sometimes they turn out perfectly, and other times not so much. I wanted more consistent results so I signed up for the macaron class at the San Francisco Baking Institute. I highly recommend the SFBI. Whether it's one of the week long courses or weekend workshops, it's a treat to learn from the talented and knowledgeable instructors in a facility with high quality equipment. 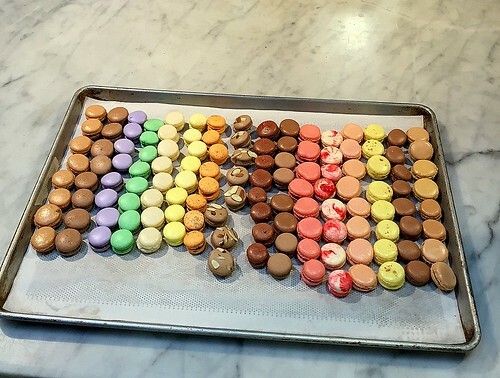 During the 8 hour class, the 24 students along with our instructor, Miyuki, made 15 different flavors of macarons. We learned the French meringue method (uncooked sugar) as well as the Italian meringue method (cooked sugar) for the shells. She exlained the differences between the two methods as well as the pros and cons. 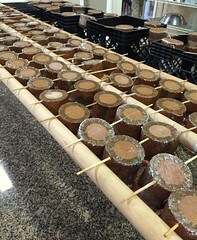 Most of the fillings were premade for us, but the students made variations on a 64% chocolate ganache. There was chocolate, chocolate orange, chocolate strawberry and chocolate cherry ganaches. The other flavors were peppermint, eggnog, chocolate praline, raspberry, pistachio, lemon, passionfruit, cassis, rose, vanilla, and mocha. 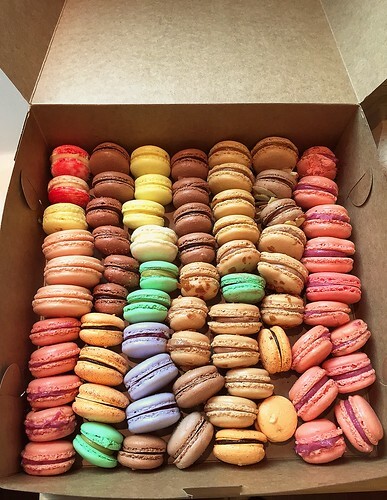 Each student took home a big box of macarons. I don't have anything too exciting or interesting coming out of my oven these days. I've been baking once a week just to make sure we have enough bread to feed ourselves for the week. My storage starter is still doing great. It's been in the refrigerator for 8 weeks (unfed) and amazingly there's no sign of mold. Only a tiny bit of clear hooch is developing. 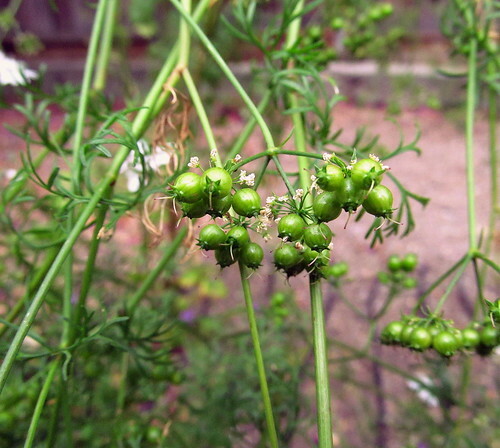 Every Thursday evening, I take about 6-8 g starter and feed it once (usually about 1:3:3 or 1:3:4). I build my levain Friday morning and let it ferment while I'm at work. 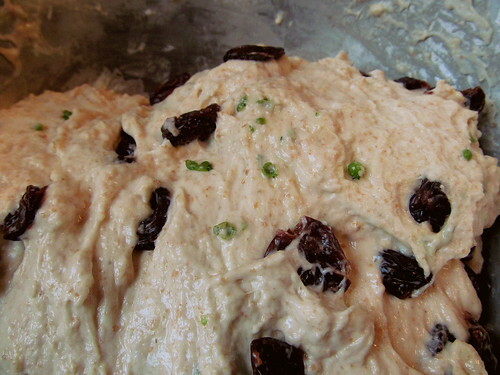 I mix my dough Friday night and bake on Saturday. I've been baking my bread in loaf pans recently. My formulas for naturally leavened sandwich loafs are pretty much the same as I would employ if I were to make free-formed hearth loaves. I might increase the hydration since the loaf pan helps the dough keep its shape, but I generally like 75-80% hydration, pan or not. I haven't used any recipe for bread lately. I've just been "winging it". 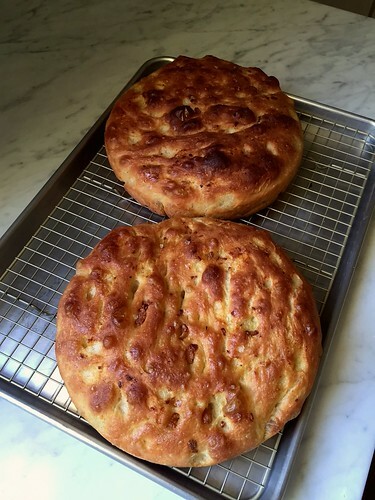 When I first embarked on my sourdough journey in March, I never imagined that a bread newbie like me could ever get to the point where baking bread would become second nature. I am constantly amazed by the power of this newly found knowledge. Here are two recent loaves. 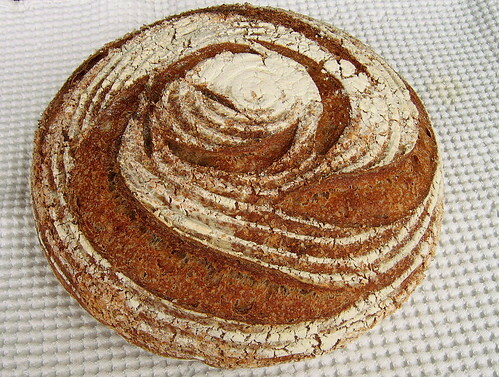 Both formulas are similar except that the first uses 40% levain and 2.5% salt and the second uses 12% levain and 2% salt. 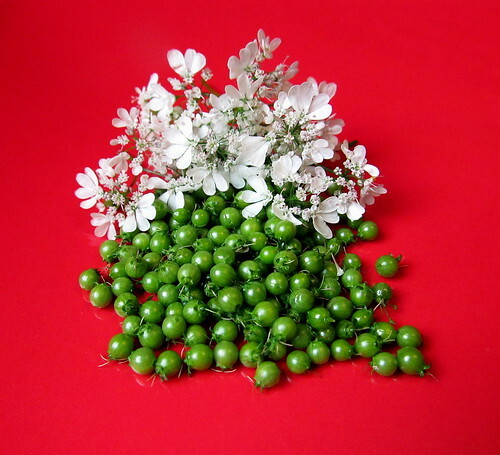 The higher amount of salt in the first was to help moderate fermentation. The timelines differed slightly. 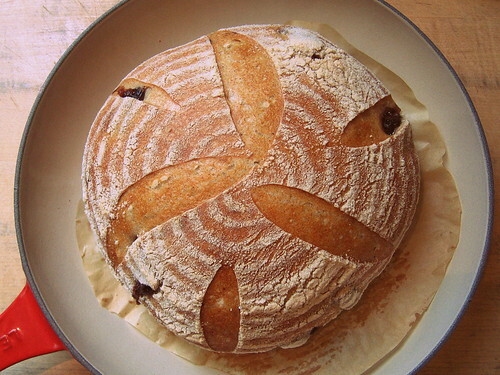 Even though the beginning of the bulk fermentation to hot bread was around 22 hours for the first loaf and 21 hours for the second, the first was shape retarded and the second was bulk retarded. This first loaf had a very complex sour flavor. It was 20% rye. 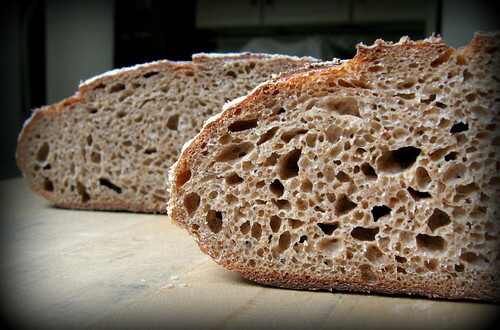 I think sourness was due to the rye flour in the starter, levain and dough. The age of my storage starter and the long shape retardation probably contributed to the lovely sourness as well. It had good oven spring and was airier than it appears in the photo. I found this one absolutely delicious. 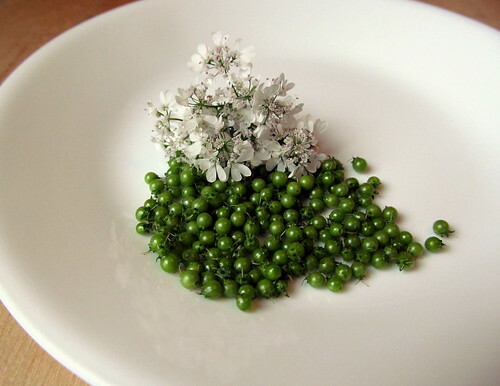 Mix all ingredients in a bowl by hand. Bulk ferment at room temp (74F) for 3.5 hours. S&F at 30, 60, 90, 120, 150 min then undisturbed for final hour. 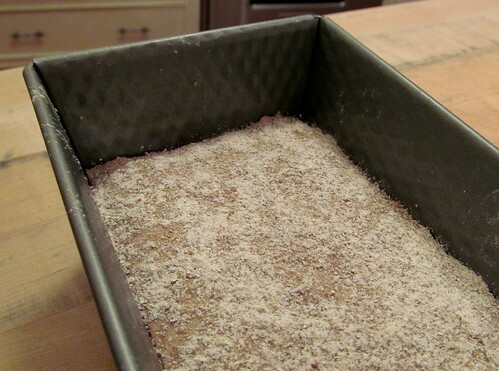 Shape and put into a loaf pan. 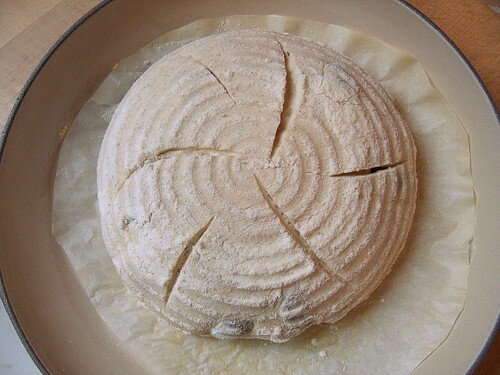 Retard the shaped dough in refrigerator for 18 hours. Bake cold dough at 450F for 45 minutes (20 min covered/steamed, 20 min uncovered, 5 min out of loaf pan). The second loaf turned out less lofty than the first loaf even though I used the same amount of dough in the same loaf pan. It was still good eats and made great toast. The little bit of cornmeal added some interest and crunch. Bulk ferment at room temp for 5.5 hours. S&F at 30, 60, 90 min then undisturbed. Bulk retard in refrigerator for 12 hours. Preshape and bench rest for 45 minutes. Shape and proof at room temp for 2 hours. 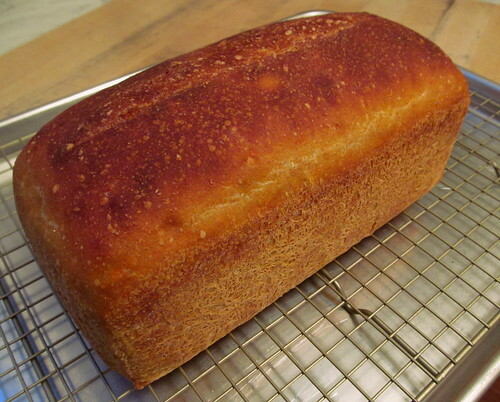 Bake at 450F for 45 minutes (20 min covered/steamed, 20 min uncovered, 5 min out of loaf pan). I started a new job about two weeks ago and, as a result, I haven't had much time to bake or surf the internet lately. I miss being able to read TFL daily, but I miss sleeping more so I chose sleep over the internet. :) My brotformen are still vacuum-sealed for safe keeping while I get settled with my new routine, so I've been baking in loaf pans. 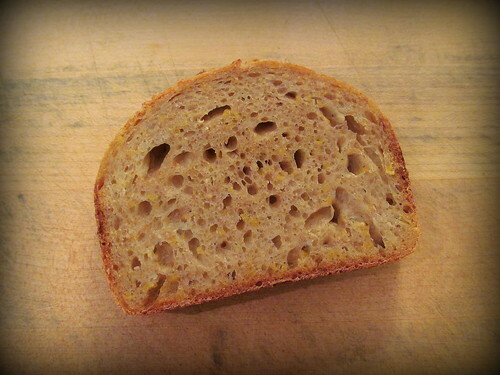 This week I baked Syd's seed loaf (http://www.thefreshloaf.com/node/38429/seed-loaf), but I omitted the bread spices. 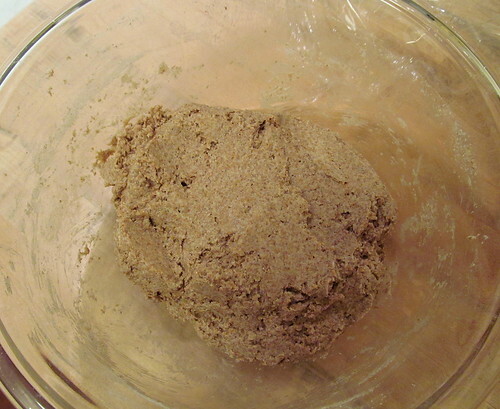 After mixing, I divided my dough into 2 portions. One was 250 g and the other was 750 g. I spread the 250 g portion into a mini loaf pan, proofed it at room temperature for 1 hour, then put the pan into the refrigerator for 2 hours. I baked it straight from the refrigerator at 375F for 30 minutes. I bulk fermented the 750 g portion in the refrigerator for 7 hours. 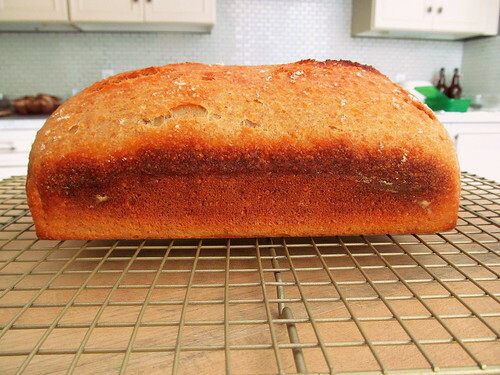 After the cold bulk, I shaped it, put it in a 8.5 x 4-inch loaf pan, and proofed it at room temperature for 1 hour. Then I stage baked it as follows: 450F for 10 min, 425F for 10 min, 400F for 20 min. 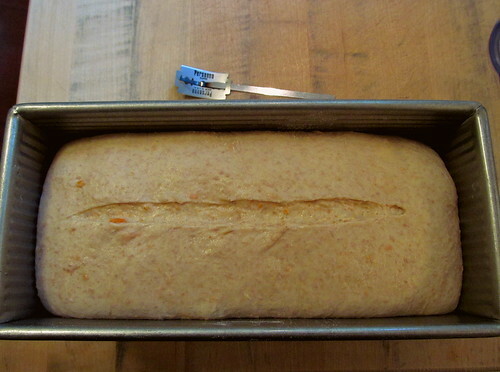 Then I removed the loaf from the pan and baked it at 350F for 5 min. Total bake time was 45 minutes. 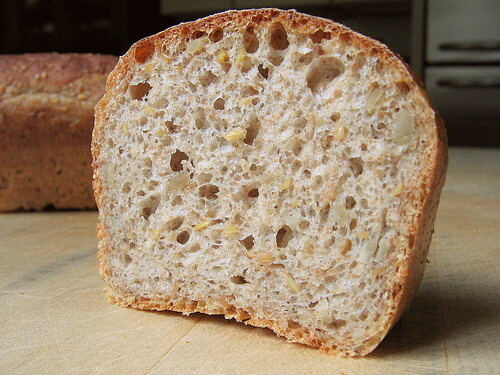 The large loaf was a little bit overproofed (as evidenced by the compressed crumb at the bottom), but it wasn't too noticeable as far as eating was concerned. 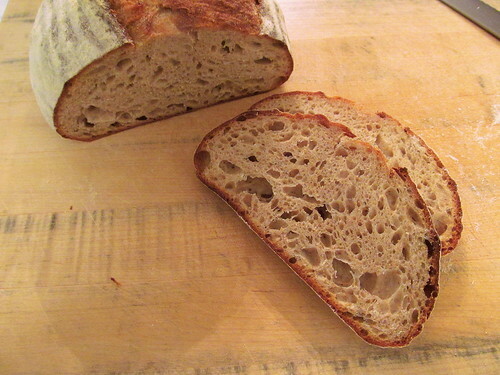 In addition to the lovely flavor that the rye levain added, it also helped with the keeping quality. The tangzhong helped it stay soft. Overall it was a delicious sandwich loaf.